Leanne said she likes the solid and sturdy build of the counter compared to others she had seen, also the option for customisation. 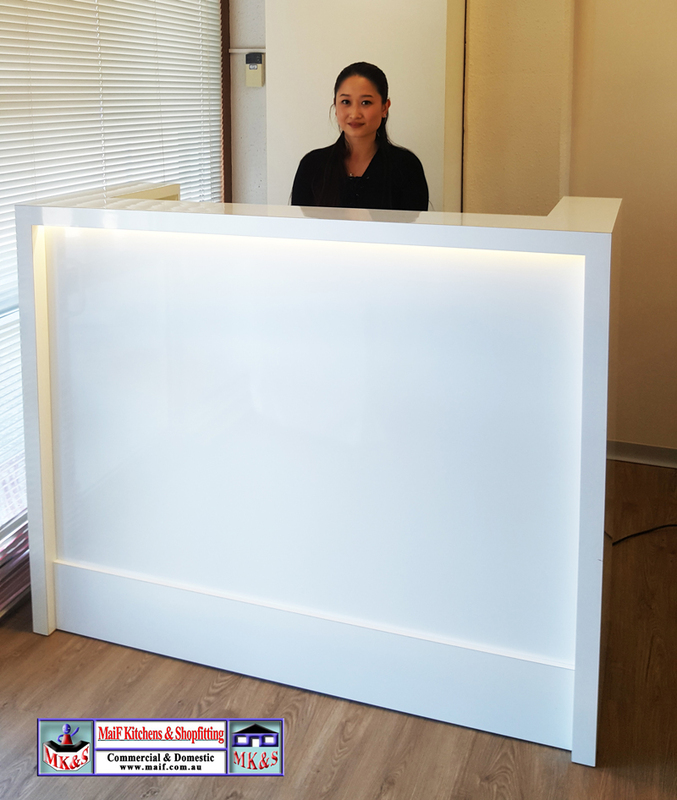 Leanne wanted a smart looking counter for her new salon that would provide a professional feel as soon as a customer enters the shop, while at the same time being very practical and hard wearing in design. In a fast pace business, Leanne needed an efficient design, holding everything she needs, yet still have ease of access to all items. Leanne also took the option of getting locks on her drawers for security. 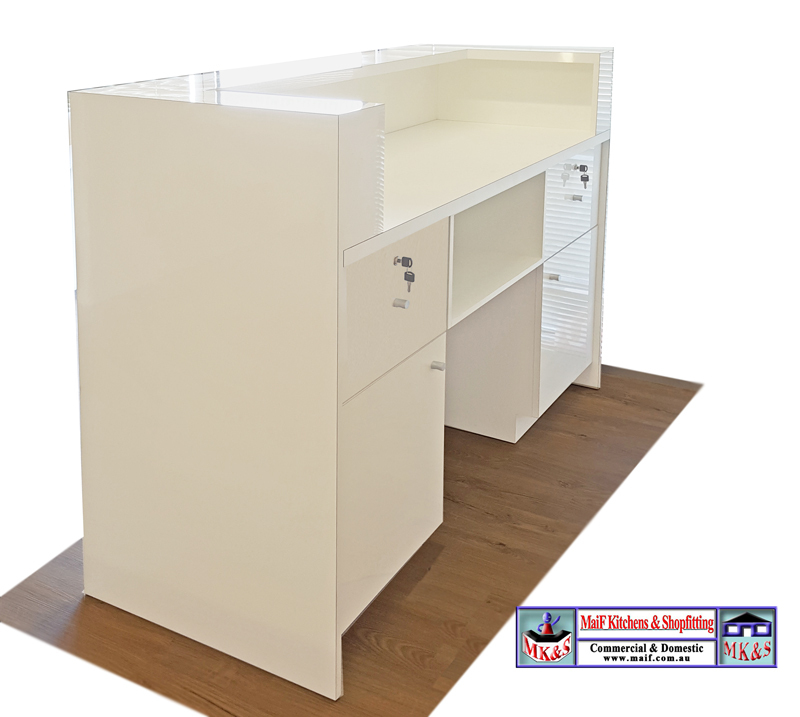 When we supplied this New Reception Desk Seven Hills it was simply a matter of delivering it, dropping it in and it was ready for business straight away. Le Beauty Affair is a cosmetic business, selling beauty products online and also in their new salon. In the salon, make up services are offered along with the products for purchase. These services include make up for Bridal, Formal and other special occasions, with some great deals offered by Leanne. Customers come from Le Beauty Affair’s suburb Seven Hills, and from surrounding areas including Blacktown, Bella Vista, Westmead and Parramatta to name a few.